This balloon is air-fill and includes a straw for consumer inflation. This fun shape would make an interesting centerpiece or topper for columns. 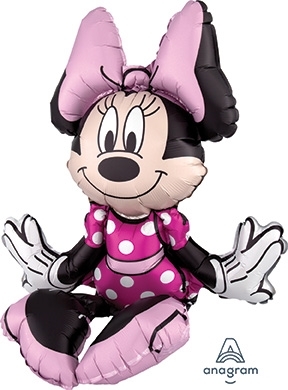 There are 3 inflation points and some assembly to make Minnie the life of the party!